The Hot Aisle is hosted by Brent Piatti (@brentpiatti) and Brian Carpenter (@intheDC). This Episode’s guest is none other than Fred Nix (@nixfred) Systems Engineering Manager for EMC in the South. 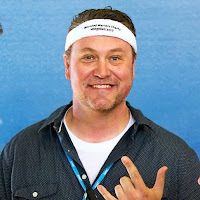 Fred comes to us specifically to talk about v0dgeball2015 @ VMworld and its origins and charity The Wounded Warrior Project, but leaves us with golden gems that include: Public Speaking and how Stand Up Comedy plays a role in transforming your public speaking skills. Motivating, Molding, and downright hugging New Hire Systems Engineers as part of his Global Presales Operations role. Having a brand or legacy that may or may not include a lot of Jaeger (and how much of that is true?!). The role military service had on his career path and his work ethic. And last but not least – a glimpse into the formation of the vSpecialist organization at EMC – and how that “culture -not- cult” has stretched its tentacles into the organization worldwide – including New Hires Orientation.